San Francisco Giants are one of the oldest professionals in Major League Baseball. Founded in 1833, the Giants were originally called Gothams, after one of the city's many nicknames. 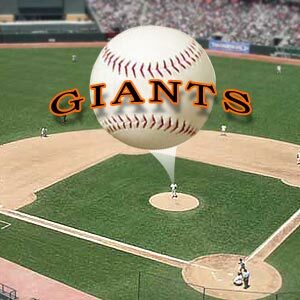 Today the giants play at Pacific Bell Park and wear uniforms of orange, black and white. San Francisco Giants are among the celebrated organizations of the west division. They hold a major league record with 47 members in the Baseball Hall of Fame. Giants have produced many great players - Bobby, Barry Bonds, Willie Mays and Mel Ott; infielders Orlando Cepeda, Willie McCovey, Johnny Mize and Bill Terry; and pitchers Carl Hubbell, Juan Marichal, Christy Mathewson, and Gaylord Perry. The Giants of San Francisco have won five World Series championships and NL pennant titles. However, after 1889 the giants faced a lot of ups and downs that led them to finish at near bottom of NL in 1890. The Giants were finally on top in 1954 World Series with a team that featured center fielder Willie Mays, one of baseball's greatest all-rounders. The hometown support to the Giants started dwindling after the poor finishes of 1954. After losing franchise, team owner Horace Stoneham moved the team west to San Francisco in 1958. During the late 1980s and early 1990s the Giants again rose to NL pennant contention and started retaining the National League West division title.